We would like to inform you that the merger of NOVOMATIC Gaming Industries GmbH into its sole parent company, NOVOMATIC AG, as the absorbing company, has taken place by entry in the Austrian Companies Register. Your existing contracts and business relations with NOVOMATIC Gaming Industries GmbH remain valid in full and will be transferred to NOVOMATIC AG by way of universal succession upon entry of the merger in the Companies Register. A separate formal agreement on your part is not necessary. 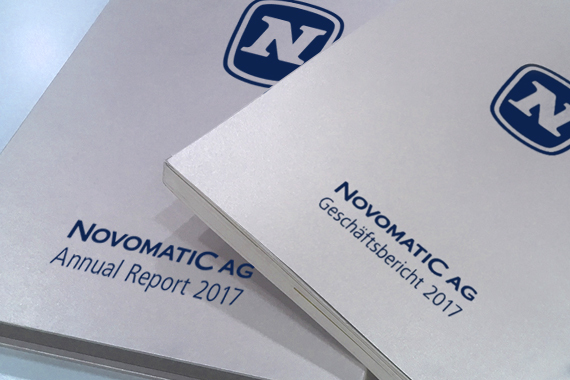 NOVOMATIC AG assumes all rights and obligations of NOVOMATIC Gaming Industries GmbH. The latter ceased to exist upon entry of the merger in the Companies Register on October 5, 2018. Your contact person will remain the same. We only ask you to use the new master data in the future. These master data shall apply immediately to all agreements, orders, and order confirmations. All invoices must therefore be issued exclusively to NOVOMATIC AG with immediate effect. We would like to take the opportunity to thank you for your confidence that you have put in our company to date and are looking forward to the continued collaboration.